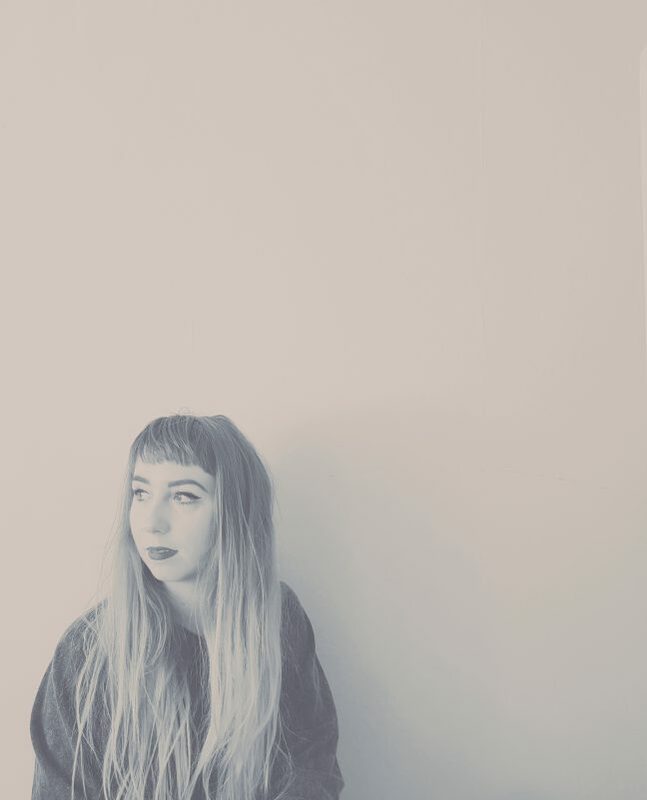 This month’s feature welcomes third year student Jasmyn Bloch, a classiclally trained singer with an electronic music twist who through her explorations in our course developed new and engaging pathways of addressing issues such as voice, embodiment, femininity and the emotional affect of sound and music. Her upcoming multimedia installation entitled ‘FEMPORIS’ will be exhibited at this year’s degree show. JB: I started working with sound at a very young age, experimenting with all sorts of different instruments, but nothing really stuck. My true musical beginnings started when I found my passion for Classical Singing; this was the portal through which I found what sound, and especially voice, meant to me and what it could communicate to others. I remember being gob smacked the first time I sang in front of an audience, because by the end of my performance a lot of the audience were crying. I always knew music effected my emotions deeply, but to see others react so vividly to something I had sung was a turning point, I knew then I had to work with my voice and my emotions. JB: The DMSA course opened my eyes to a lot of experimental, more artistic ways of approaching music. Before this course I was well versed in more mainstream electronic music, but had no idea of the plethora of ways music and sound can be used, creatively and powerfully, to evoke emotions and create statements. During my time here I believe I have created projects that I will continue to work on well past my graduation, but also planted seeds of ideas for my future work and concepts. 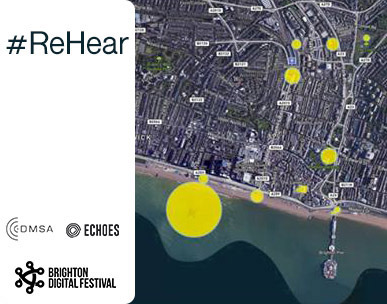 JB: I am currently working on a multimedia sound installation called Femporis, which is a conceptual womb piece that will be a part of the Brighton University Degree Show this June. This piece is an exploration into the soundscape of the womb, but also considers the concepts of safety, nurturing and rebirth. I hope to continue down this vein of feminine works and create a trilogy of pieces that are focused on the female body and voice. Post University I plan to create a platform for young female artists in Brighton, a website and bi-monthly exhibition space, where they can show their work and be a part of a supportive collective, showing female sound and artworks in a unified space. Professor Kelly Snook has joined ReBalance, a three-year programme from Festival Republic in association with PRS Foundation. The initiative aims to support female-led bands and solo artists by offering studio recording time. Professor Snook will produce an EP for Liverpool-based artist Mary Gregson-Miller. PRS Foundation, the UK’s leading charitable funder of new music and talent development, launched the initiative for women this year building on its Women Make Music fund, which began in 2011 to support the development of women songwriters and composers of all genres and backgrounds at different stages of their career. More info here. We are happy to have DMSA Alumni back for a session on sound design for video games. For his final degree piece, Andrew developped Symbiosis, an open-world music game which places the player in an environment that responds to their interactions with music. Since his graduation, Andrew has been working with game audio for 4 years, and currently works for The Creative Assembly, one of the UK’s largest games studios, based in Horsham. He has worked on audio implementation and audio testing for the BAFTA-winning audio team behind Alien: Isolation (2014), Total War: Warhammer (2016, 2017) and Halo Wars 2 (2017). In this session, Andrew will introduce students to the Wwise sound engine, a common audio design tool used in the games industry. 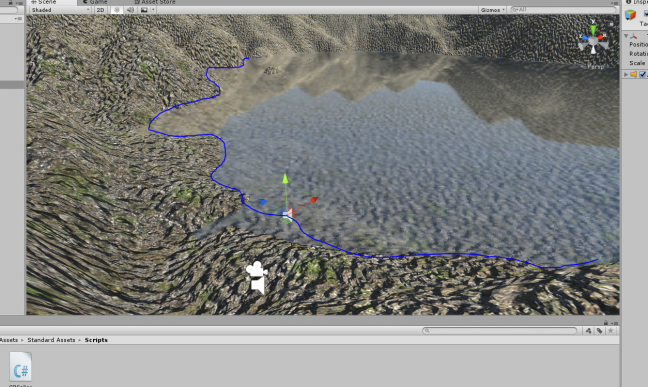 Students will be guided through the process of integrating Wwise into a game project, using Unity. We will then move on to add the sounds of a lake or sea shore as an example audio feature, giving students an understanding of the kind of problems and solutions that arise in game audio development. Through this tutorial, students will be given a grounding in fundamental game audio concepts, such as sound positioning and attenuation, soundobjects, listeners, and game-to-audio parameter sync. Students are encouraged to bring their own recordings of lake/seashore water (approx. 1 minute of recording), though preprepared recordings will also be available. Digital Music and Sound Arts students are invited to join Design for Digital Media students in a workshop on direct animation onto a 16mm film. This project will offer the students the opportunity to work with the physical elements of direct animation on to the film. 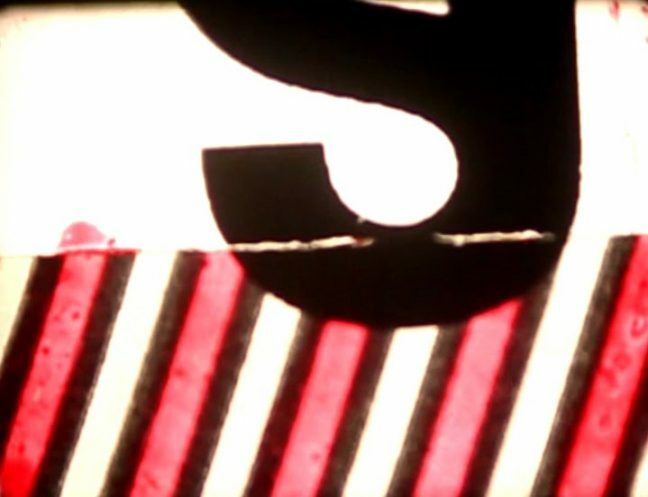 Participants will be provided some film stock to work on to create a few seconds of 16mm film footage that can be looped and played through a 16mm projector, the work will then be video captured and edited on the computer to create a final outcome. The process of direct animation involves scratching into the surface of the film’s emulsion to make sequential patterns and shapes, or painting images, textures and shapes on to clear leader, negative and positive mark-making, and possibly contact printing in the dark room. The workshop will also explore the historical contexts and ideas born out of the early years of experimental film production especially focusing on the Cinema of Attractions. Students will work to the theme of ‘negative and positive’ and expole sequential animation of pattern and form, light and dark, subtle and overt mark making, try to convey different oppositional moods by the colour or texture and emphasis of the marks they make. Or they could attempt to portray an idea that has an oppositional message to the original image (if there is one on the film). Or merely consider two opposing ways of looking at an image as a sequence. A short (30 to 120 seconds) moving image piece that explores the theme of Negative/Positive (or Altitude). This can be either presented as a film loop on the projector or as a digital outcome. Be experimental . . . The workshop will be led by Louise Colbourne and Jim Hobbs. Spaces are limited. Booking necessary. 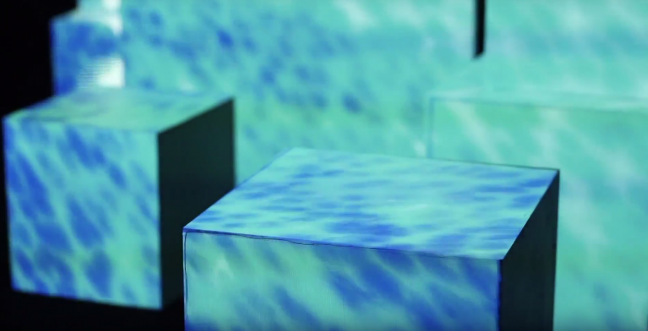 We are happy to have DMSA Alumni back to lead two masterclasses on Projection Mapping. Rafael graduated from the course in 2016 and has received the Honourable Mention Award for his final project ANTHROPOCENE. Rafael will be introducing our L4 students to the art of projection mapping on the 7th of February and our L5/L6 students on the 8th. 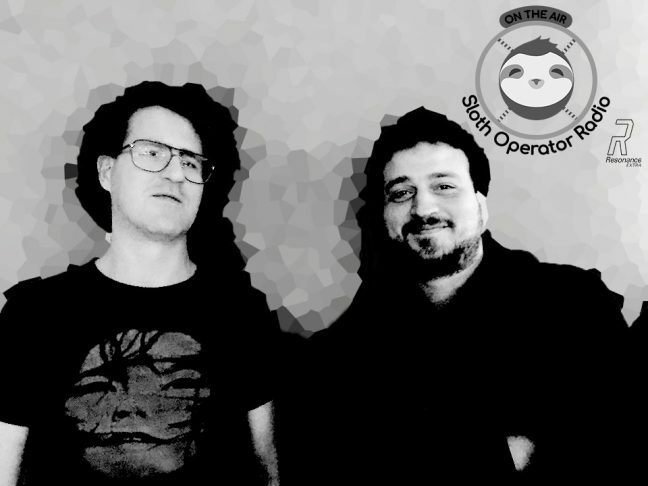 This month we are taking to Ivan Camps & Boogie Man Aka Álvaro Villar, both Year 3 students and producers of ‘Sloth Operator Radio’, a weekly broadcast of emerging techno music on Resonance Extra. DMSA: Three Important words that represent you as a creative person. I.C. : Perseverance, Integrity and exploration. B.M. : Creative, alchemist and bored. I.C. 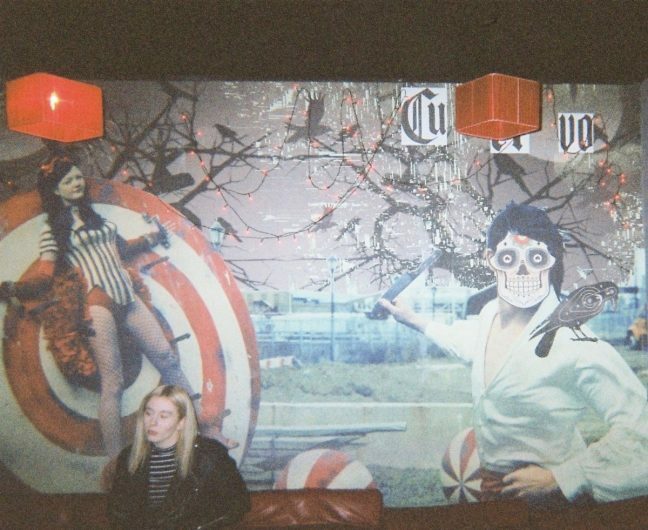 I started back on 2008 when I formed a band with a friend and started creating music and gigging, meanwhile, also I was doing some DJ’ing in local venues in Brighton. B.M. I went for five years to a music school playing guitar studying Classical music and Flamenco. I went to the Conservatory in Madrid, so I got a bit depressed because the little kids in my class were far better than I. Then, when I was 15, I discovered techno, left music school and started to produce with my computer and my old friend Luis. Luis had an old mixer from his uncle, who used to be a wedding DJ back in the 70’s, another friend bought a turntable and a stereo Hi-fi with cassette deck, and we started to record our first mix tapes. Those were really inspiring, challenging, and learning times because we played with a cassette and one turntable, so was just possible to mix one way, we looked for tracks with a melodic intro to be able to sync the cassette with the turntable. DMSA: In What ways has the DMSA course supported or helped you to develop in to who you are today creatively and professionally? I.C. Has helped me to understand better my creative instincts. B.M. DMSA opened my mind musically speaking. All my life I saw myself as a Techno DJ “Superstar”. The course showed me that I could be ending composing music and sound design for TV, films and/or video games. The course has also shown me how to create my own sounds on ways previously unimaginable for me, like creating my own devices and sound field recording. Practices that blew my mind were the soundwalks lead by Dr. J. Milo Taylor. Can you tell us a bit about Sloth Operator Radio? I.C. The original idea comes from Álvaro, I liked it and joined the project. B.M. The idea of creating a radio show came from my first year at University of Brighton. It was not successful and end it up just as an idea. A couple of years later I discussed the idea with Ivan and Kevin. We joined forces and developed the idea of the program’s format. Thanks to Maria Papadomanolaki who gave us the contact of Peter Lanceley in Resonance Extra we were able to start the broadcast of the program. The program pretends to offer an alternative view on Brighton Club scene which lacks of the genres we play in our show. I.C. Be a better DJ, lunching our own collective, releasing our own productions and running a night, at least once a month. Ideally weekly, about dance music (non-commercial) in Brighton. B.M. The first thing to accomplish is to finish my final degree project and graduate at University of Brighton. Future plans?? As Yoda said, “Impossible to see, the future is”.